Make sure your clean out cap is on. You may not know that you have a sanitary sewer cleanout. Almost all buildings do. It allows access to the sewer line in case there’s a problem. It’s usually located somewhere between your residence and the street. 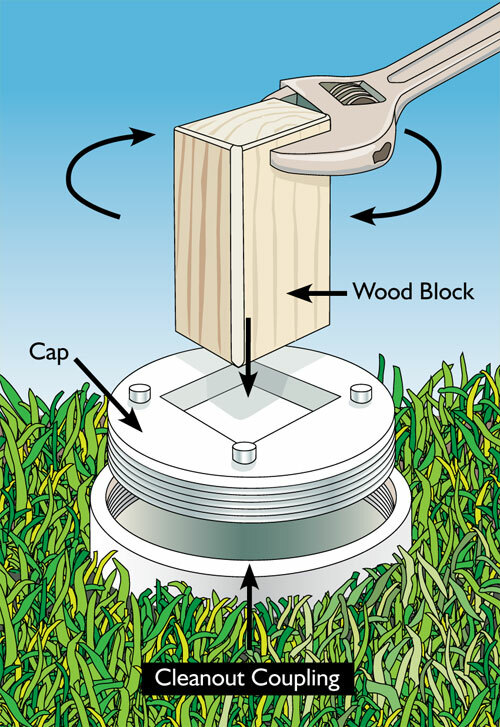 The cleanout cap is simply the part that keeps it covered. When storm water enters the sanitary sewer system, it makes the entire system work harder, which can reduce its capacity and raise operating costs, resulting in higher charges to customers. Even worse, the unwanted storm water and debris can cause sanitary sewer overflows and sewer backups into buildings. This could mean very messy—and costly—clean up and repairs. In addition, when a sanitary sewer cleanout is not properly covered, it often gives off a foul odor.